WILLIAMSON, GEORGE, army officer; b. c. 1704, probably in England; d. 10 Nov. 1781 at Woolwich (London), England. He had at least one son, Adam, who served as an engineer officer in North America during the Seven Years’ War and later rose to the rank of lieutenant-general. George Williamson entered the Royal Artillery as a cadet on 1 Feb. 1722 and was commissioned ensign 1 Nov. 1727, second lieutenant 1 Oct. 1731, and first lieutenant 1 Dec. 1737. On Minorca from 1731 to 1746, he was promoted captain on 1 July 1740. Williamson participated in the campaigns in Flanders from 1746 to 1748, receiving his majority on 22 June 1747. Ten years later he became a lieutenant-colonel. 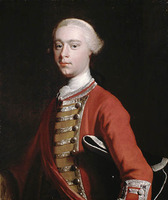 Either in 1756 or early in 1757 Williamson volunteered to serve in America, and because of his reputation as “a very good & carefull officer” he was appointed to command the artillery in the force under Lord Loudoun which was being assembled for an expedition against Louisbourg, Ile Royale (Cape Breton Island). Williamson reached Halifax, Nova Scotia, on 8 July 1757 with 76 pieces of artillery; with his reinforcements, the army had about 100 cannon, howitzers, and mortars, served by about 300 men. During the summer he raised a battery to guard the entrance to Halifax harbour. After his superiors decided in August not to attack Louisbourg that year, Williamson left for New York and Albany. He spent the winter at Albany inspecting, organizing, and requisitioning weapons, ammunition, equipment, and supplies for the next campaign. Like other artillery officers of the period, he was in a rather difficult position, since he was responsible to both the commander-in-chief in North America and the Board of Ordnance in England. But as a veteran officer experienced in army politics Williamson handled both parties diplomatically, and no unusual difficulties arose. In administrating his command he favoured both maintaining strict discipline and treating his officers and mer. fairly and impartially. A persistent concern of his during this period was securing promotion to colonel commandant of the new battalion about to be added to the Royal Artillery. Williamson was always very sensitive about seniority, precedence, and perquisites, and he sought promotion with great avidity, probably because he appears to have been somewhat older than other officers of the same rank. During the summer of 1758 Williamson commanded the artillery during Amherst’s siege of Louisbourg. His force consisted of about 300 men and 145 pieces of ordnance including 85 heavy guns and mortars. An expert technician thoroughly familiar with the many intricacies of his branch of the service, Williamson appears to have been responsible for preparing the main bombardment against the fortress, which opened on 22 July. When Louisbourg surrendered five days later he commanded the detail that hoisted the British flag over its walls. He then surveyed his and the French guns, equipment, and supplies with an eye to the coming campaign against Quebec and worked to make the damaged fortifications defensible again. After it was decided not to attack Quebec until 1759, the army was dispersed, and Williamson was ordered to Halifax to prepare for the next year. He arrived there early in September, but having found the storage and barrack facilities there inadequate he proceeded to Boston. He spent the winter preparing for the Quebec expedition; by February 1759 he was in New York, and he also went to Newport (R.I.), Boston, and Louisbourg in the spring. Although hard at work, he was not too busy to continue soliciting command of a battalion as well as promotion to full colonel in the army (he had been appointed local colonel late in 1758). On 4 June 1759 he left Louisbourg with Wolfe *’s army. During the siege of Quebec that summer, Williamson commanded the artillery detachment of 330 men. In July, on Wolfe’s orders, he placed three batteries consisting of seven mortars and 12 heavy cannon on the heights at Pointe-Lévy (Lauzon) opposite the city. The guns fired almost 4,500 shells and over 11,500 cannon-balls, inflicting serious damage to the Upper and Lower towns. Early in September Williamson added eight cannon to the batteries; despite continuing problems with his health, he remained on duty at Pointe-Lévy. When the army reached the Plains of Abraham on the morning of 13 September, its chief artillerist commanded a small detachment of guns that fired briskly throughout the battle; he claimed Montcalm* was mortally wounded by grape-shot from one of the cannon. Although Williamson stated that six light cannon and two small howitzers were present, most accounts mention only two light cannon, and he may well have been trying to impress the Board of Ordnance with his diligence by inflating figures. Williamson attributed the day’s success to a combination of luck, planning, and perseverance, and he reported Wolfe’s last words as “I thank God for [victory] & now I shall die contented.” Following Quebec’s surrender, Williamson again supervised the raising of the British flag, and as at Louisbourg he busied himself with assessing captured equipment and supplies and making the town defensible again. He was then ordered to Boston. Once there he wrote to the Marquess of Granby, commander of the British contingent in Germany, and Viscount Ligonier, commander-in-chief and master general of the Ordnance, both old acquaintances from Flanders, asking for help in obtaining command of a battalion. While his letters were at sea, he was promoted colonel commandant of the new third battalion (20 Nov. 1759), evidently on Amherst’s recommendation. Hearing of his advancement in February 1760, the new colonel immediately began a campaign to attain brigadier’s rank. He spent a busy winter in preparation for the coming year’s fighting, and between January and August 1760 his duties took him to New York, Albany, and Oswego. Given command of the artillery in Amherst’s force, the able and hard-working artillerist turned his hand to naval warfare during the advance down the St Lawrence in August 1760. He placed a cannon and its crew in each of five row-galleys or cutters, and on 17 August these attacked and captured the Outaouaise, a French vessel of 150 tons with a crew of 100 and ten cannon. Amherst was so pleased with the success that he named the prize the “Williamson Frigate.” Returning to more familiar work, the colonel commanded the batteries at the siege of Fort Lévis (east of Prescott, Ont. ), where 60 hours’ fire from 16 guns forced Captain Pierre Pouchot* to surrender. Williamson again directed the hoisting of the British flag. After the capitulation of Montreal in September, Williamson proceeded to New York. His command now consisted of detachments scattered among various forts, and he spent his time on routine matters of administration, discipline, and supply. In the spring of 1761 he began the laborious task of collecting men, guns, equipment, and supplies from the forts and garrisons and forwarding them to New York, where they were being assembled for an expedition against the French West Indies. This work, conducted mainly from Albany, also involved considerable redistribution of resources among the posts. Williamson did not accompany Major-General Robert Monckton’s expedition which sailed for Martinique in November but remained with Amherst in New York. In October 1762 he was apparently replaced as artillery commander in North America, since he was scheduled to sail for England that month. On 20 Nov. 1762 Williamson was promoted major-general. For the remainder of his career he was stationed at the regimental headquarters and depot at Woolwich and was an active commander of his battalion. He was one of the main sources of information for John Knox in writing his account of the war in North America, and was a supporter of William Congreve’s innovative work on technical improvements in the artillery. 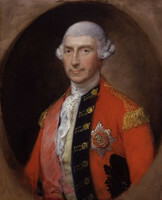 On 25 May 1772 he was promoted lieutenant-general. 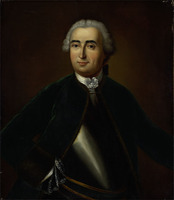 A capable artillery commander whose work played an important part in the crucial engagements at Louisbourg and Quebec, George Williamson contributed significantly to the British victory in the Seven Years’ War. A portrait of George Williamson is in the PAC; it is reproduced in Knox, Hist. journal (Doughty), II, facing p.252. PAC, MG 18, N21. PRO, WO 34/78, 34/82–83, 34/119–21, 34/127, 34/129, 34/135–36, 34/147, 34/153–54. Knox, Hist. journal (Doughty), I, 7, 209; II, 541, 552–53; III, 87, 339–40. G.B., WO, Army list. Officers of the Royal Regiment of Artillery, comp. John Kane (4th ed., London, 1900), 2. McLennan, Louisbourg, 262–63. Peter E. Russell, “WILLIAMSON, GEORGE,” in Dictionary of Canadian Biography, vol. 4, University of Toronto/Université Laval, 2003–, accessed April 26, 2019, http://www.biographi.ca/en/bio/williamson_george_4E.html.